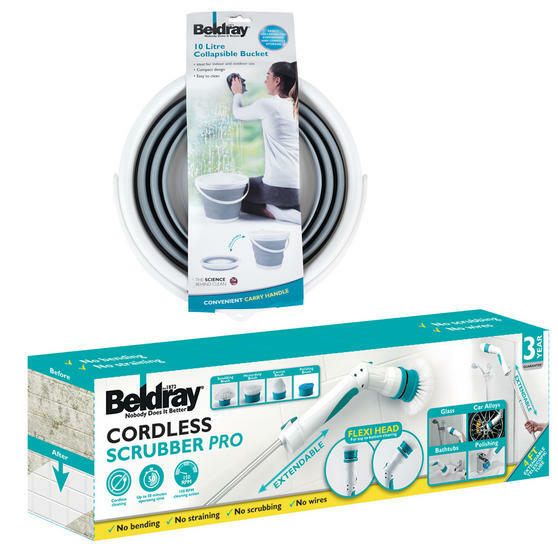 This Beldray cordless scrubber with folding bucket is fantastic for cleaning multiple surfaces including glass, tiles, oven hobs or even car alloys. The battery gives a powerful 150 rpm to the rotating flexi-head so you can clean stubborn dirt without any wires. 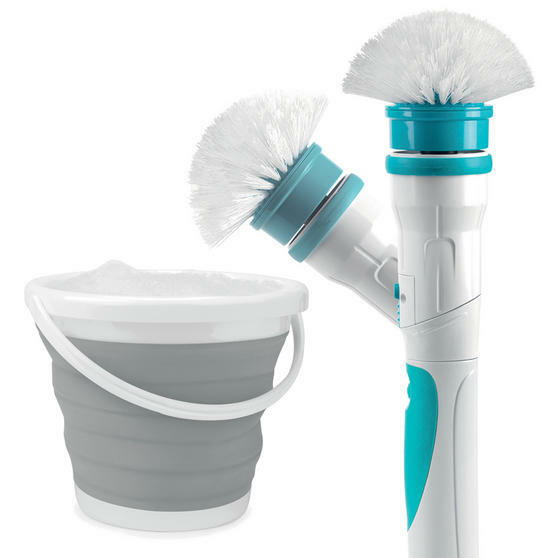 The scrubber charges fully in under 6 hours and gives up to 50 minutes of superb cordless cleaning. 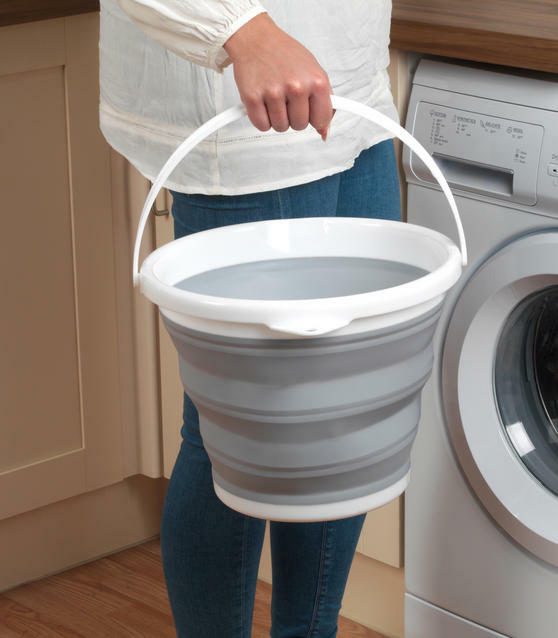 With a generous 10 litre capacity, the bucket is deep enough to hold plenty of water and has a strong handle for carrying a bucketful. 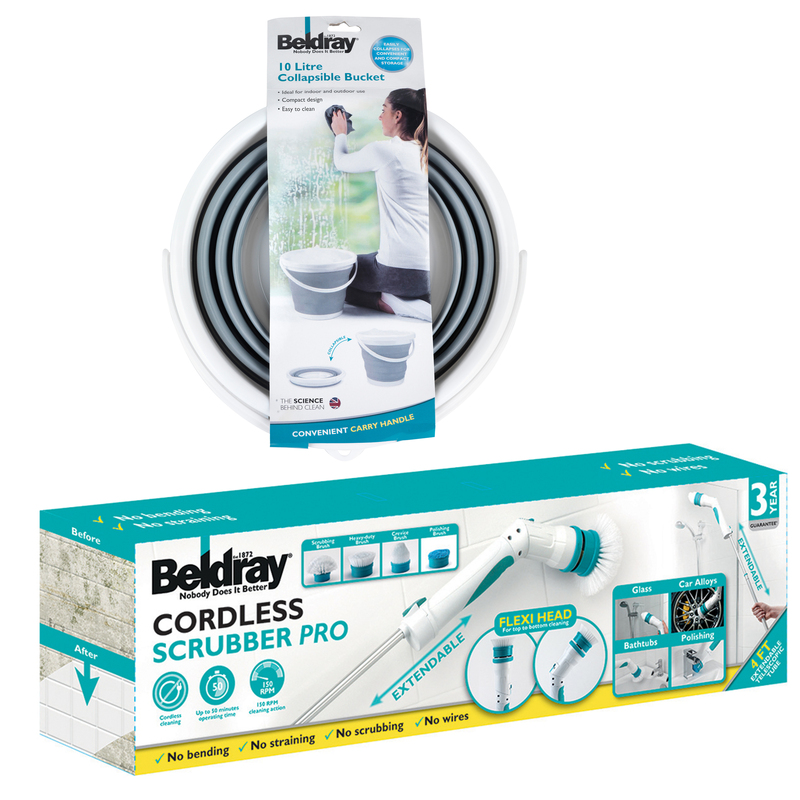 The Beldray cordless scrubber Pro has brilliant multi-surface capability giving glass, tiles, bathtubs and oven hobs an amazing shine. 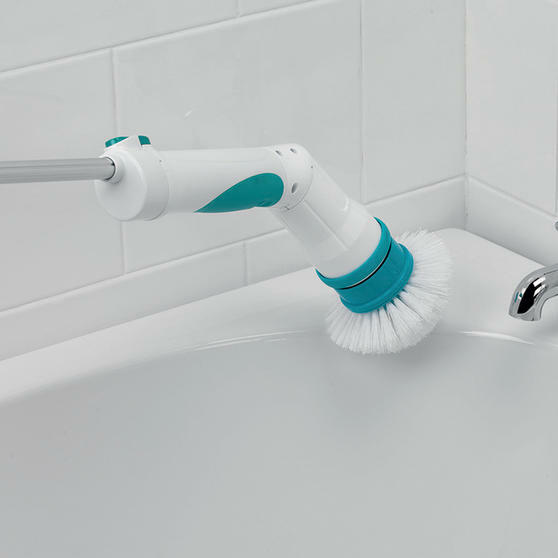 With four unique brush heads designed to tackle different areas, simply change between them to suit each surface you need to clean. 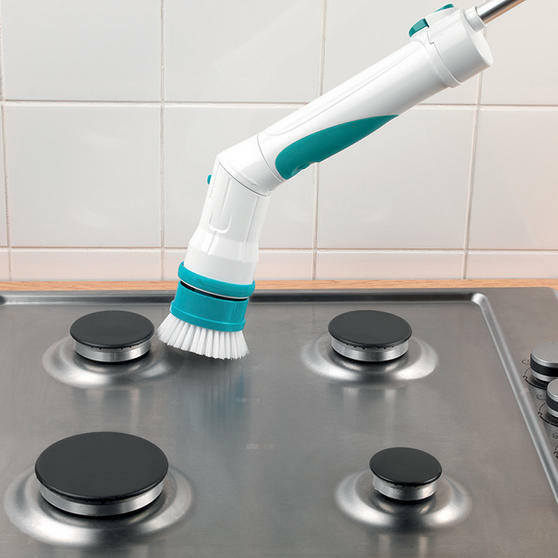 The handle extends up to 46 inches so there is no need to bend, stretch or scrub, just let the cordless pro take the strain. 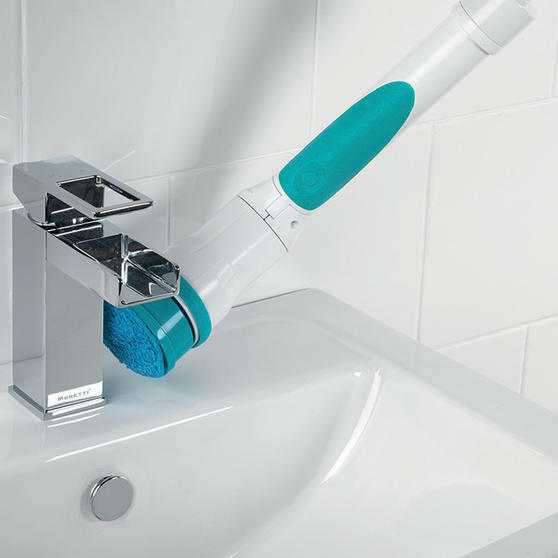 The revolving flexi-head is designed to get to tight areas around taps and other fixtures so you can even make awkward areas sparkle. 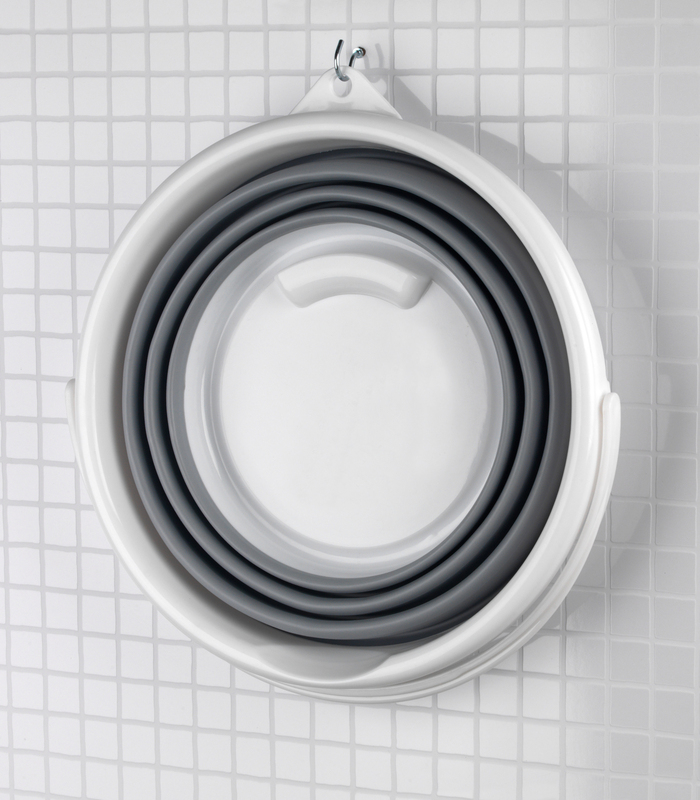 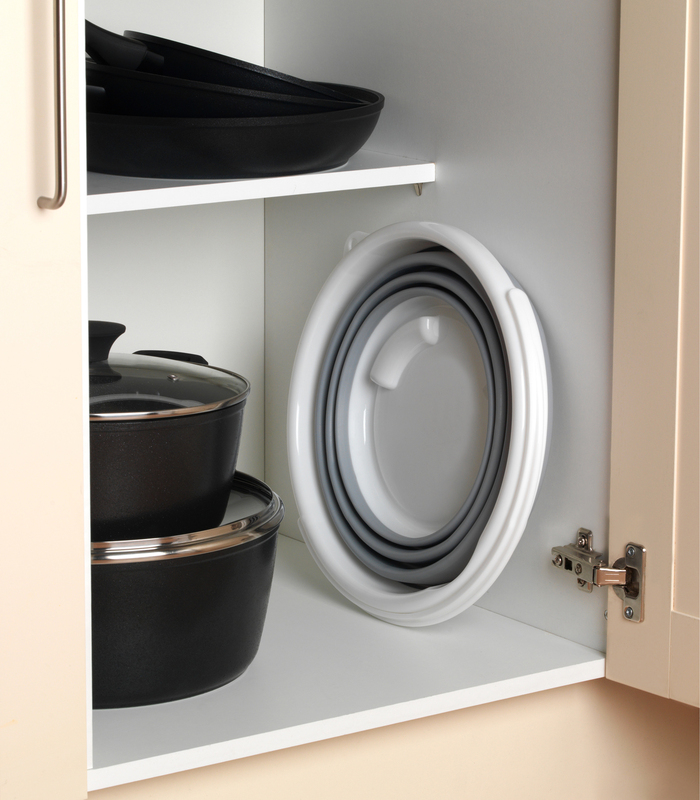 A simple solution when you are in need of saving space, after using this Beldray bucket it can be folded away for storage in seconds.